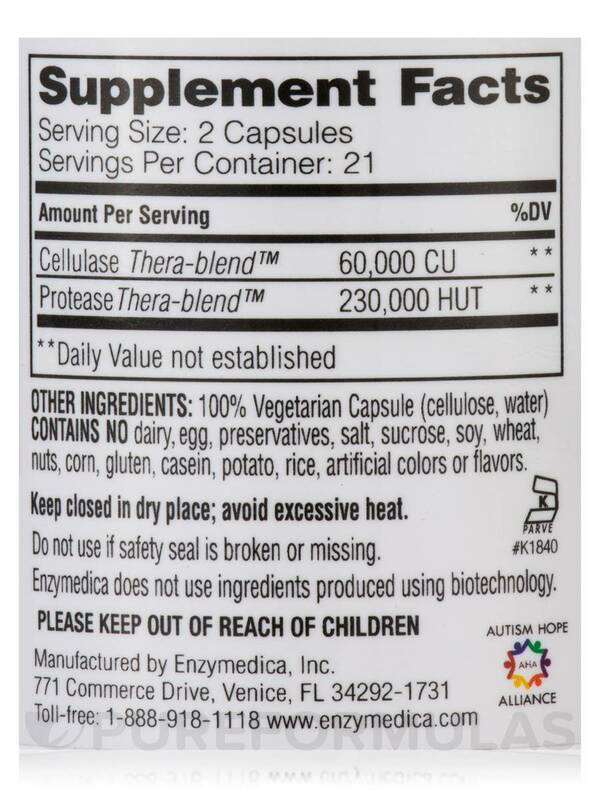 This product works well to control candida/yeast. Used intermittently it is very effective. 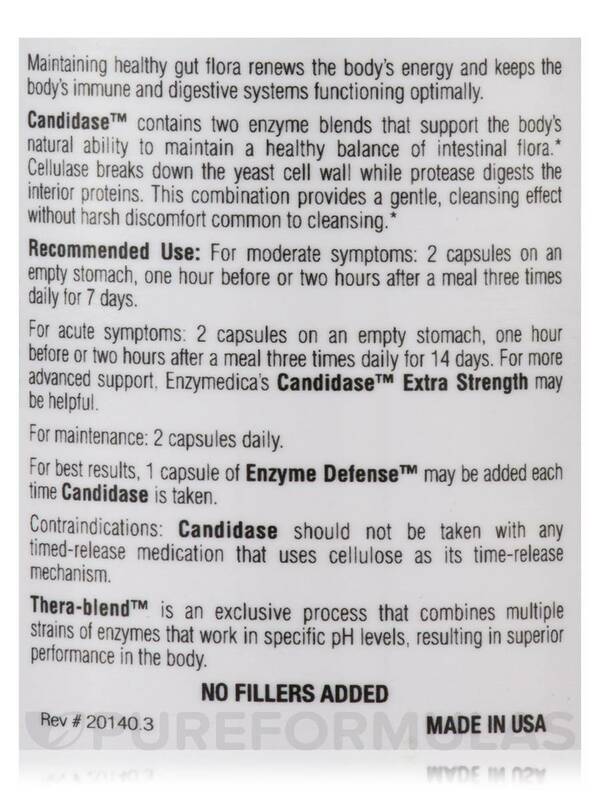 PureFormulas was running a special on Enzymedica products, and so I decided to try Candidase instead of the Candex I normally buy. I believe the Candidase by Enzymedica was somewhat less effective. 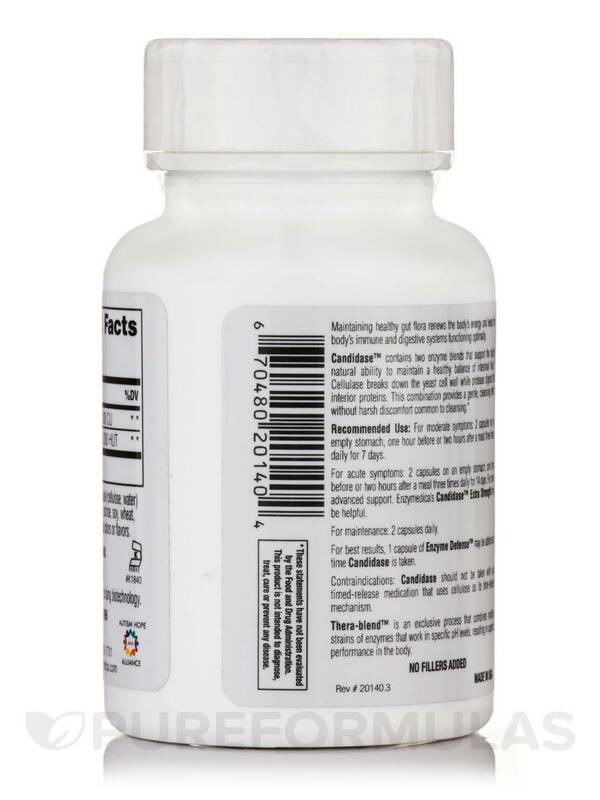 If you are looking for a vegetarian‚ gluten-free supplement to balance yeast overgrowth‚ your search may end with Candidase Capsules from Enzymedica. Candida‚ the organism responsible for most yeast infections‚ is normally present in the body in harmless amounts. Under certain conditions‚ an overgrowth of Candida could cause discomfort. Individuals with yeast overgrowth could have a large amount of undigested fiber in their large intestine. By adding cellulase to their diet‚ this fiber may be removed. The cells of yeast contains a compound called chitin‚ which is structurally similar to cellulose. Cellulase may break down this chitin. 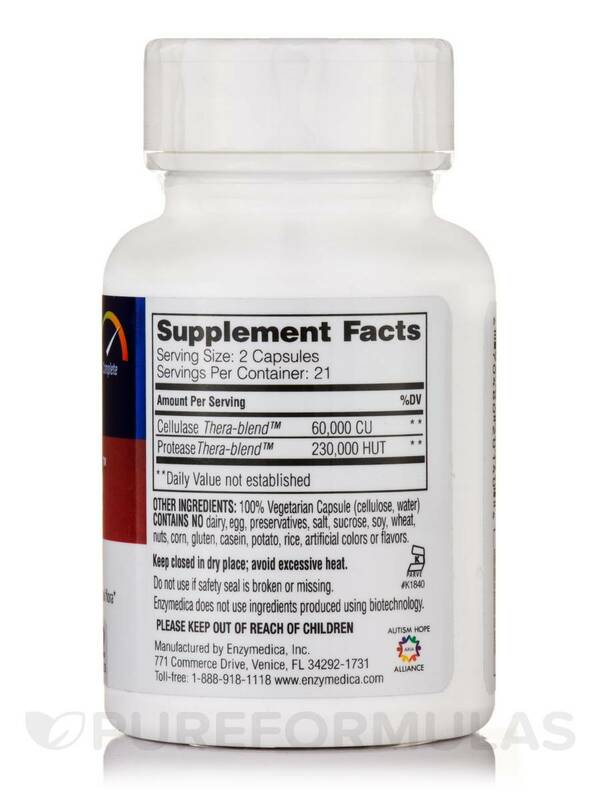 Since the inside of the cell is mostly proteins‚ the enzyme protease present in this supplement could digest it. This vegan and Kosher product made from plant based enzymes is free of artificial colors and flavors‚ casein‚ corn‚ dairy‚ gluten‚ nuts‚ potatoes‚ preservatives‚ rice‚ soy‚ salt‚ sugar‚ wheat and yeast. 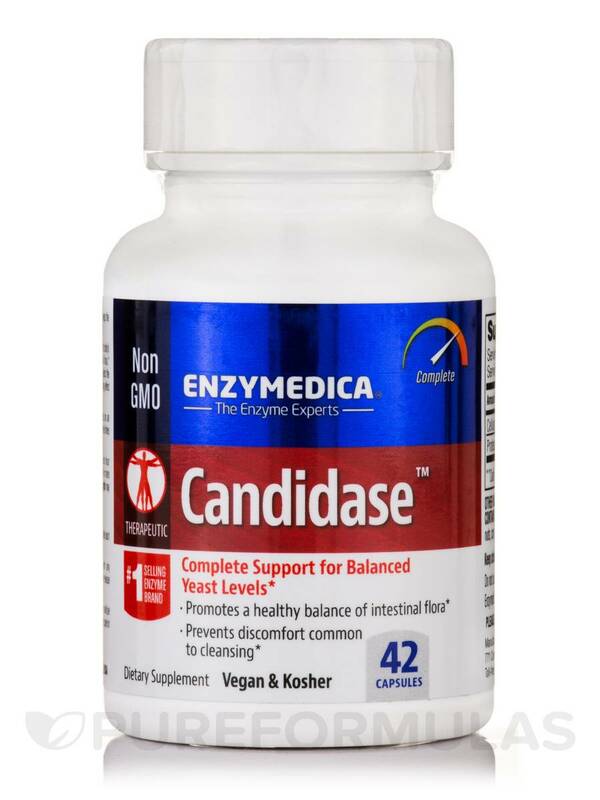 Switch to Candidase Capsules from Enzymedica for better digestive health. Not the most effective product available, and it is expensive. 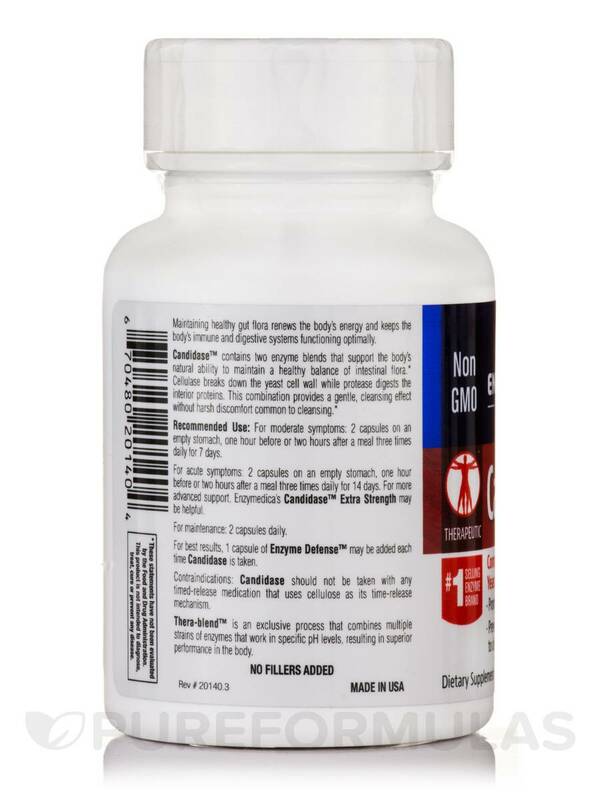 I have had candida for 47 years and now I feel better after using Candidase for 3 weeks.